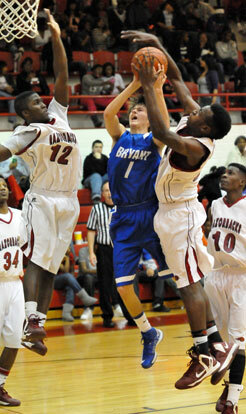 TEXARKANA — On the home court of the Arkansas High Razorbacks Friday night, the Bryant[more] Hornets, seeking their first 7A/6A-South Conference victory, not only got it, they dominated to the point that the Arkansas Activities Association sportsmanship rule was initiated midway through the fourth quarter. 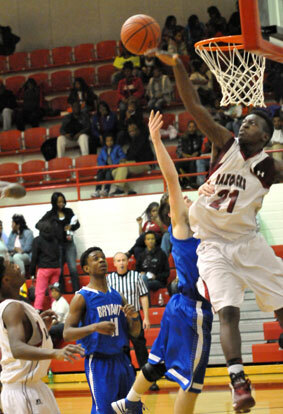 Ultimately, the Hornets secured a 60-32 win over a team that had beaten a strong El Dorado Wildcats team, which knocked Pine Bluff out of first place in the league on Friday, and had taken that same Pine Bluff squad into overtime before losing by 2. But the Razorbacks just had no answer for Bryant sophomore K.J. Hill. Playing the point, Hill time and time again, sliced and slashed his way into the heart of the defense to score or dish to an open teammate. Hill hit all six of this shots from the floor on his way to a game-high 15 points. He also had five assists and three steals. Tyler Simmons drained a trio of 3’s on his way to 13 points and senior Luke Rayburn came off the bench to score a season-high 11. 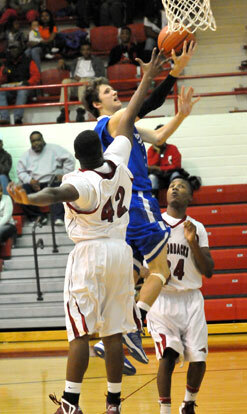 Skyler McKissock, making his first start of the campaign, finished with 6, as did senior Strodney Davis. Zach Cambron added 5 and Brian Reed 4 as the Hornets, as a team, scorched the nets at a 60 percent clip (21 of 35) with six 3’s in 13 attempts. That 60 percent included a 1 for 5 fourth quarter so the Hornets were shooting 67 percent through three periods. Bryant played from the lead from the 2:53 mark of the first quarter when McKissock nailed a 3 to put them up 6-4. They would eventually lead by as much as 32. The performance was a strong, positive response to the adversity of an 0-4 start in the conference and the frustrations that go with that. The game started with to turnovers by the Hornets and three by the Razorbacks but Bryant committed just nine more the rest of the game. Texarkana wound up with 23. “We didn’t execute the first two things we wanted to do,” acknowledged Abrahamson. “That was a little shaky but I thought our players just shook it off and went on to the next thing, tried to execute the next thing and started scoring. Hill penetrated and scored on a running jumper in the lane after McKissock’s tripel and, after Texarkana’s Brandon Jetton hit inside, Simmons flushed a 3. The Hornets forced a turnover and Hill drove and dished to Davis for a layup to beat the buzzer, sending it to the second quarter with a 13-6 score. Rayburn drove and kicked out to Simmons early in the second quarter. Simmons took advantage with another 3-point bomb, making it a double-digit lead. LaDonta Cursh hit a free throw to make it 16-7 but when Davis scored off an inbounds play under the Hornets’ bucket, Texarkana was never that close again. It was 22-12 at the 4:56 mark of the period when Rayburn drove for a layup, Hill hit a free throw after being fouled on a drive into the paint. Jetton answered but Hill drove for another bucket. Derric Watson hit a free throw for Texarkana and Hill worked around his defender again, into the lane where he knocked down a flying jumper to make it 29-15. 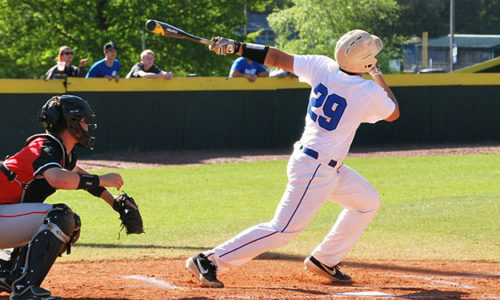 Simmons and the Hogs’ Landon Galbreth traded triples then McKissock followed suit. Cursh scored in the post but Hill eviscerated the Texarkana defense for another layup and Bryant had a 37-20 halftime lead. The Hornets then opened the second half with a 12-2 blitz to blow the game up. Simmons made a steal that led to free throws for Hill. After a Texarkana miss, Hill penetrated and kicked to Cambron in the right corner. He drained a trey and, moments later, added a steal and a bucket. A Razorback turnover was cashed in by Reed, who made a nice move in the post, scoring with his off-hand. The lead was 45-20 at that point. Darius Williams posted up for a bucket with 4:49 left in the third quarter, accounting for Texarkana’s first points of the second half. Reed came up with a nifty play to set up the next basket. An errant Texarkana pass sailed into the backcourt and Reed was in a footrace with one of the Hogs. They reached the ball at about the same time near the low block on Bryant’s end. Instead of trying to wrestle for the ball, Reed tapped it back to Simmons, who was hustling back to help. He took it in for a layup. When Hill broke free for another layup with 2:21 left in the quarter, the Hornets had expanded the lead to 49-22. Watson and Rayburn traded baskets before the period concluded. 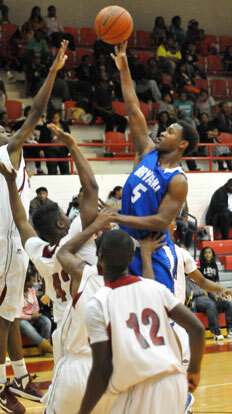 Rayburn’s first layup came off an assist by Hill. In the final seconds, the senior drove from near the top of the key and hit a layup over a Texarkana defender, making it 53-26 going into the fourth quarter. Davis hit two free throws early in the final stanza. The Hornets spread the floor to eat time away and when Rayburn was fouled with 4:19 left, his free throws pushed the lead past 30, engaging the mercy rule. He would add a free throw and another bucket to extend the margin to 32. The crucial win came despite the fact that two of the Hornets starters did not play, a result of some of the frustration and adversity the team has experienced. “I think the best way to describe it would be conduct detrimental to the team,” explained Abrahamson. “No one is above the team, including myself. And no one will prosper trying to do things solely for themselves. I understand in sports that individual stuff is a part of it but you cannot have a true team or do anything that is of value without giving of yourself and sacrificing and being there for other people. There’s not anything that anyone on our team can accomplish by themselves that’s anywhere close to what we can accomplish together. “So I think and I hope the message has gotten across and, again, I think and I hope that we can start to move on from it and reconcile these problems together,” he added. “These players are kids and I’m trying to help them transform from kids, from boys into young men,” said the coach. “That supersedes winning without question. As much as I want to win, doing the right thing has got to supersede that. Not than anyone is mistake free. Not that I am perfect because I’m not. But I think that if I can help some of these boys grow into men, transition from young men into men, that’s a lot more important. 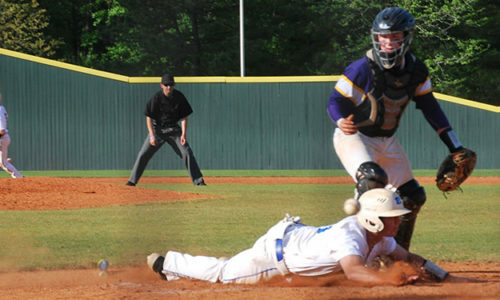 They’ll try to continue on that path on Tuesday, Jan. 22, when they host the Lake Hamilton Wolves. Three-point field goals: Bryant 6-13 (Simmons 3-7, McKissock 2-4, Cambron 1-1, Crosby 0-1), Texarkana 1-13 (Galbreth 1-5, Byrd 0-2, Walker 0-2, X.Solomon 0-1, D.Solomon 0-1, Cursh 0-1, Walton 0-1). 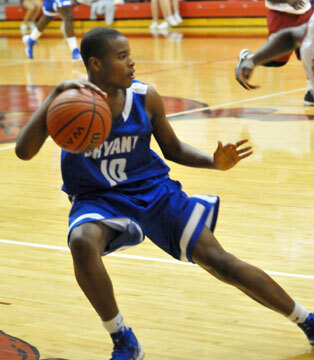 Turnovers: Bryant 11, Texarkana 23.